Homeowners take pride in their homes, and one of the ways they show it is in creating beautiful gardens in their backyards. Perennials, seasonal plants, and all manner of flowers are used to turn otherwise plain lawns into riots of colors and lush greenery to be admired. 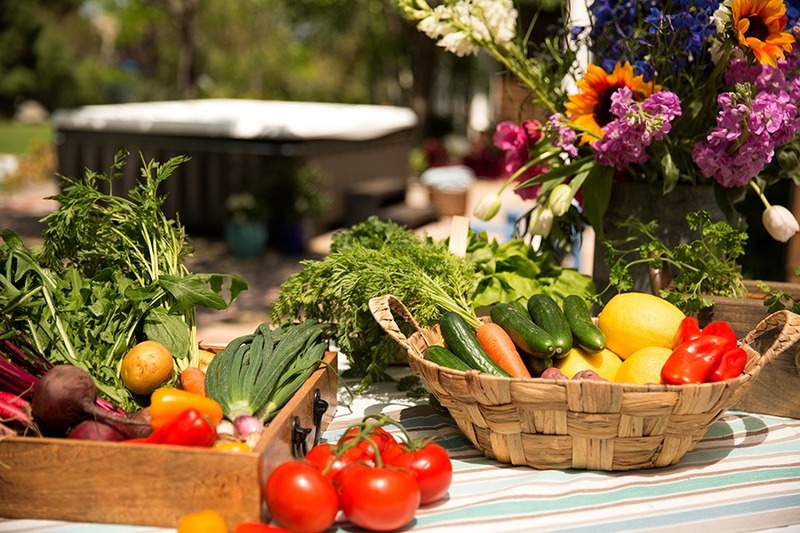 Those blessed with green thumbs also plant vegetable gardens that provide a gorgeous and edible landscape. Well-tended gardens of all types can offer wonderful experiential returns on your hard work. Smelling the blooms and enjoying the dappled light that filters through the leaves of the trees you planted can provide a sense of peace and satisfaction from a job well done, whether you enjoy your garden from a patio, deck, or even a hot tub. 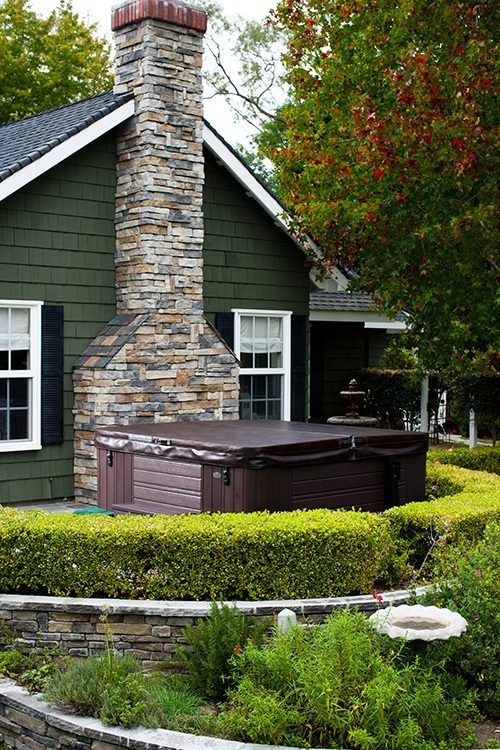 Choosing the best hot tub for your type of garden is easier than you might think. Many homeowners take an eclectic, rustic approach to backyard landscaping, combining common, regional plants with deliberately-introduced trees, shrubs, and flowers that they switch out from season to season or year to year. Creative gardeners often plant ornamental flowers right next to vegetables, and edge beds and walkways with recycled materials, such as pallet wood or railroad ties. Today’s hot tub designers focus greatly on how spa cabinets complement gorgeous landscapes, including rustic, informal gardens. The Paradise® Series and the Vacanza® Series from Caldera® feature EcoTech® cabinets, which are offered in three colors and have the appearance of wood but resist moisture and decay. The dark Espresso cabinet matches darker woods, including reclaimed railroad ties; the lighter Teak cabinet matches pallet wood or cut lumber used to build garden pergolas and gazebos; and the Coastal Gray cabinet matches the silvery tones of wood fences and decks faded by sunlight over time. The Paradise and Vacanza series spa shell color options —White Pearl, Tuscan Sun, Sterling Marble, Desert, and Midnight Canyon—further complement the rustic look. For example, the solid White Pearl shell or lightly speckled Desert shell meshes with the simplicity of form and style of a rustic style garden. The marbled look of Sterling Marble or Midnight Canyon can add to the character of the entire garden. Owners of more formal gardens might prefer to dress things up with cabinet and shell designs that lean more toward old-world elegance. In traditional formal gardens, plants and beds are painstakingly contoured and edges are clearly defined. Walking paths and edging materials are durable and often include brick and stone. Because formal gardens sometimes sacrifice comfort for form, a garden hot tub with an elegant design can bring a soothing ambience to a somewhat hard-edged landscape. The Espresso EcoTech cabinet adds tasteful charm to a formal garden. A shell design that offers a marble look, such as Tuscan Sun or Midnight Canyon, completes the scene, bringing the luxurious design and comfort of a spa to a sophisticated setting. Other homeowners crave elegance but in minimal ways. They appreciate the high-class materials used in formal gardens but prefer a less-is-more approach. These homeowners appreciate a modern style. Modern landscapes often combine permanent hardscaping materials, such as embedded rock and concrete, with wood or metal planters, and then surround the area with plants that have clean lines, including bamboo and unusual ferns. Linear plant arrangements are also preferred. When a homeowner successfully creates a modern garden, it’s typically the envy of the neighborhood. So, finding just the right garden hot tub to match is a must. The luxury Utopia® Series from Caldera is the perfect complement to forward-looking hardscapes surrounded by clean, linear gardens. The series features the textured AvanteTM shell, which comes in three colors: Slate, Brownstone, and Sand. Slate would be the pick for concrete hardscapes with metal accents. For contemporary stucco homes or homes with wood cladding, Brownstone or Sand would highlight the earthy tones of the backyard design. Solid shell colors, including Arctic White and Platinum, will only enhance streamlined gardens, while Tuscan Sun and Midnight Canyon will complement the organic touches of contemporary gardeners. 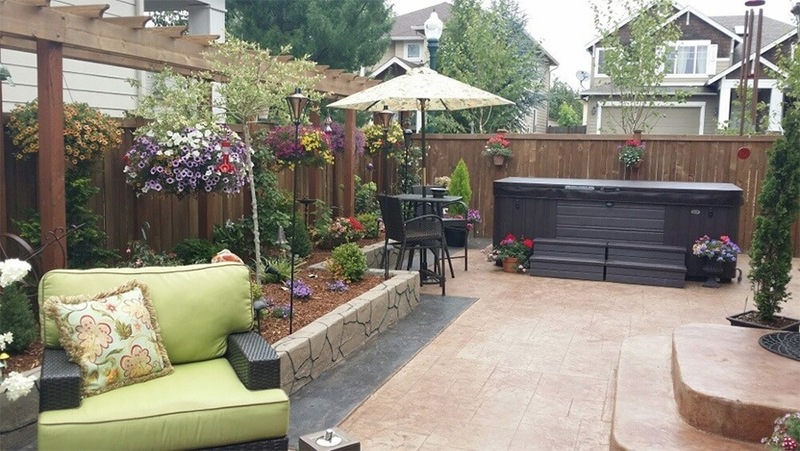 Whatever type of backyard garden you’ve cultivated, imagine admiring it from a beautiful Caldera Spa. 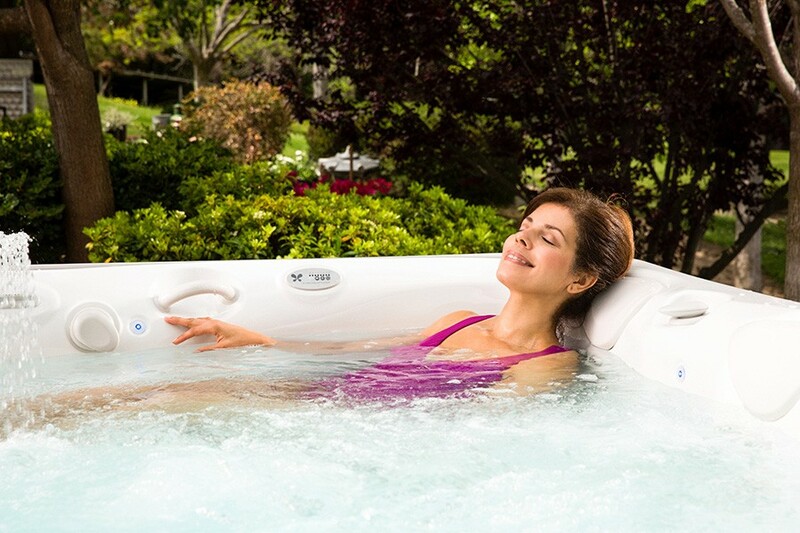 To find the latest hot tub model that matches your vision and budget, browse our hot tub series or request a price quote.